All of our cooling units come with a standard two year warranty. A third year extended warranty is available. If your RV refrigerator isn't cooling and smells of ammonia, the cooling unit has failed and needs to be replaced. The number one reason cooling units fail is because they rust out and start leaking ammonia. Also, if your unit has been run off-level, a blockage can form inside the cooling unit preventing proper circulation of the charge solution. Repairing your refrigerator with a remanufactured Nordic Cooling Unit is significantly less expensive than replacing the entire RV refrigerator. 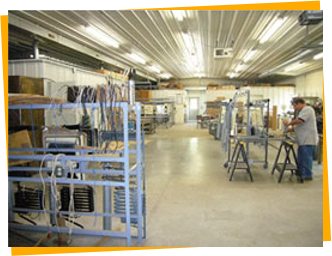 Our units are completely remanufactured to the highest standards by experienced professionals. Superior materials, workmanship, packaging, and service are part of every unit. Now doing cooling unit replacements on site! For more info please call 641-322-4888 or email at info@nordiccoolingunits.com. NEW! NOW OFFERING REPLACEMENT UNITS FOR NORCOLD 1200 AND 1210 SERIES! We remanufacture all popular models, including Dometic and Norcold. If you have an older discontinued cooling unit, we offer a Repair and Return service, available through your local distributor. Our cooling units are recharged in a climate controlled environment. Computerized calibration equipment precisely measures the chemical density of the charge solution resulting in a highly dependable product with optimal performance.